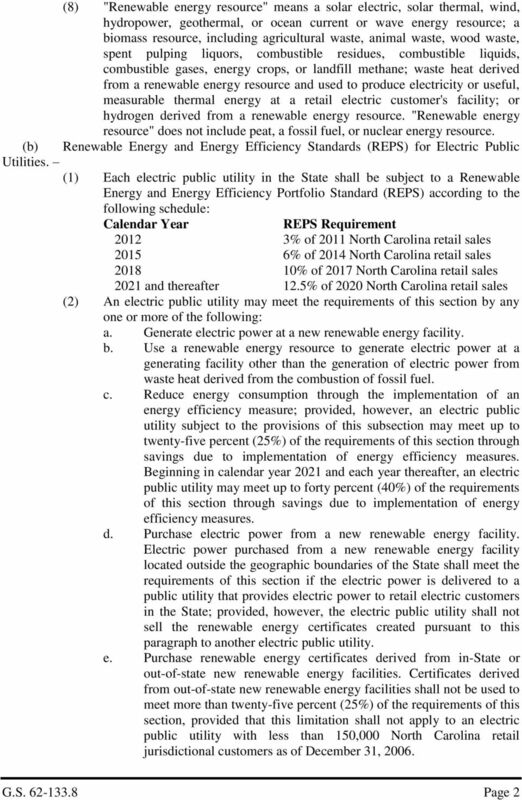 Renewable Energy and Energy Efficiency Portfolio Standard (REPS). Download "62-133.8. 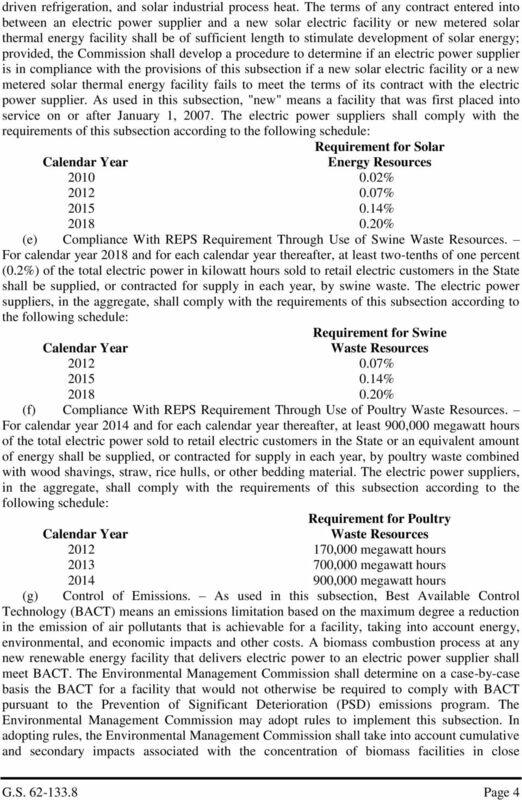 Renewable Energy and Energy Efficiency Portfolio Standard (REPS)." H HOUSE BILL State of Washington 63rd Legislature 2013 Regular Session. Read first time 01/22/13. Referred to Committee on Environment. 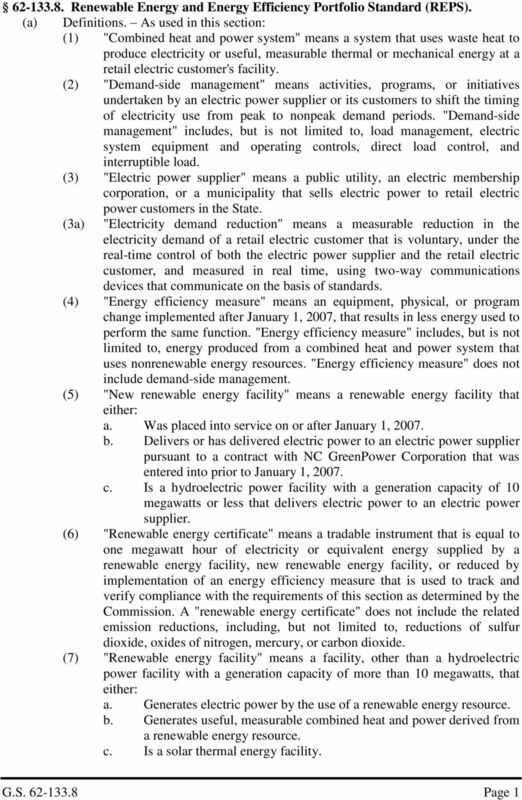 R8-67 RENEWABLE ENERGY AND ENERGY EFFICIENCY PORTFOLIO STANDARD (REPS) (a) Definitions. (1) The following terms shall be defined as provided in G.S. NOTE: The governor signed this measure on 6/5/2013. 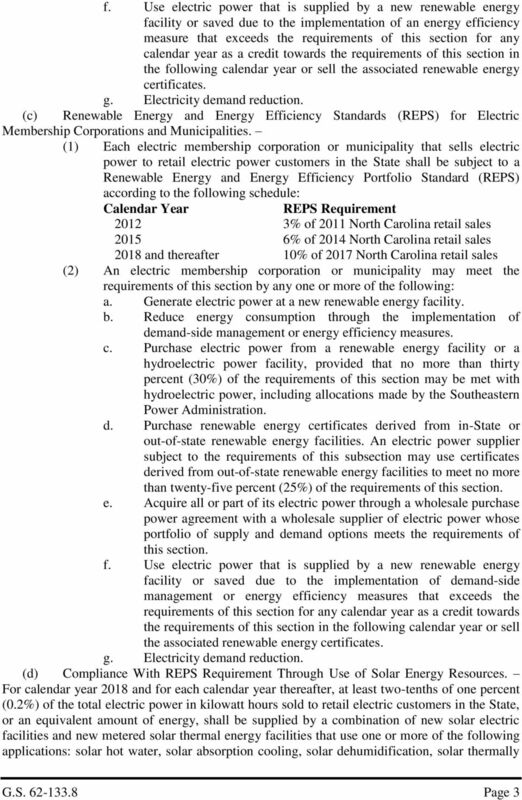 ANNUAL REPORT REGARDING RENEWABLE ENERGY AND ENERGY EFFICIENCY PORTFOLIO STANDARD IN NORTH CAROLINA. REQUIRED PURSUANT TO G.S. 62-133. No. 99. 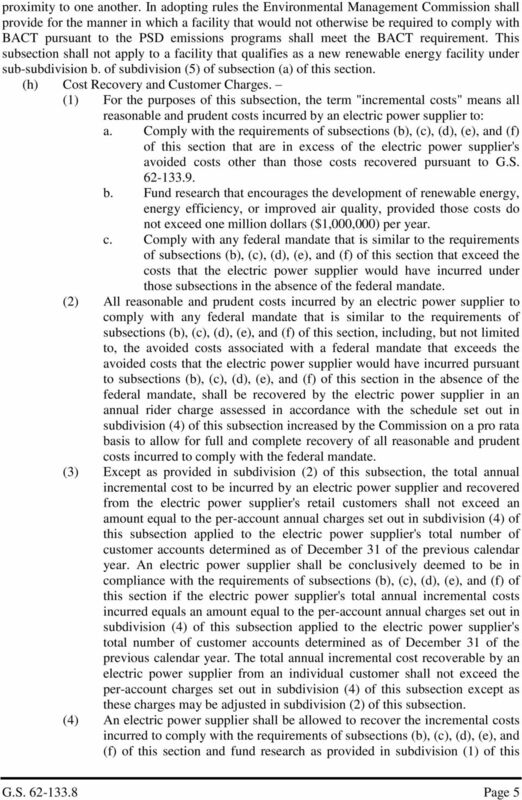 An act relating to self-generation and net metering. 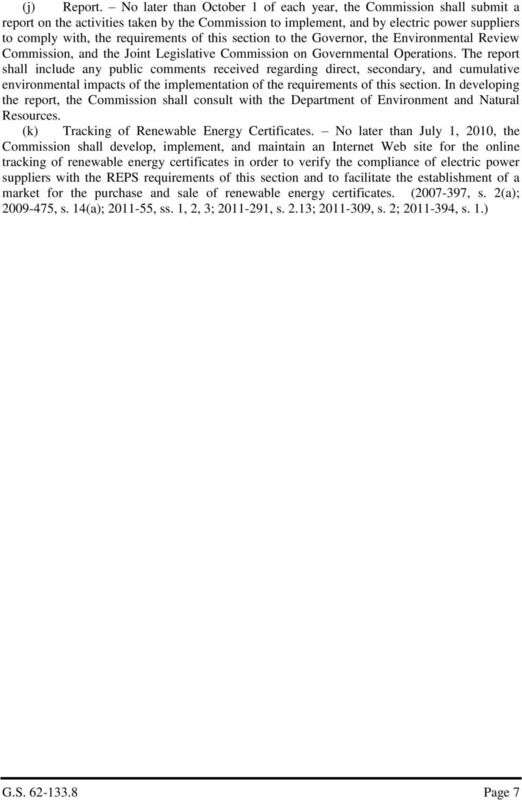 (H.702) It is hereby enacted by the General Assembly of the State of Vermont: * * * Net Metering Amendments for 2014 * * * Sec. 1. 30 V.S.A. Utilities. Our environment helps companies to flourish. It does the same thing for our people. 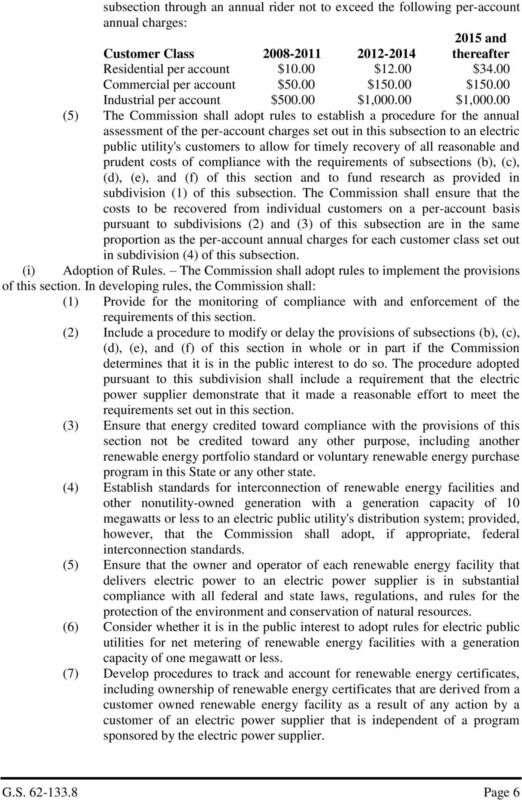 Comments of the Business Council for Sustainable Energy Regarding the American Clean Energy and Security Act of 2009. May 6, 2009.